When it comes to buying a property you need clear, simple relevant information that helps free you from the confusion and stress that goes with it. Knowing the how, what and why in any process gives you the ability to make the right decisions. There is never a more important time to do that then when your’e making possibly the biggest purchase of your life – your home. We understand how tough it is to get into the Australian property market but we also know that It could be the catalysts that enriches your life for ever. Freeing yourself from the pressure and emotion that goes with a property purchase helps bring the clarity and confidence you need to negotiate the best deal for you. Empower yourself to take that moment when it comes. 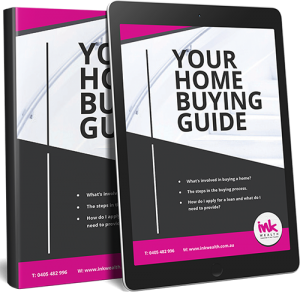 Your Home Buying Guide eBook will help you do just that.